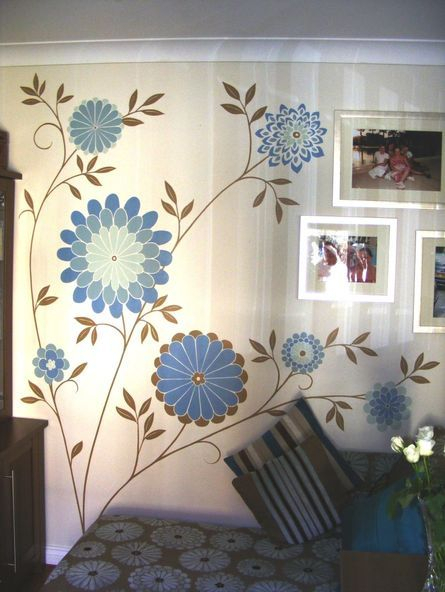 These murals are simple designs that are freehand painted over the original emulsion. They were each completed in one or two days. This next design was based on a pattern seen by the customer in a magazine. It's a simple leaf design running from the floor to the wall in a bathroom. It was all painted freehand and took less than a day to complete.